Today I’d like to introduce you to Sebastian Wallace of Soul Stone (Escaping Fate #2) so you can make your own decision on whether he’s arrogant, annoying, and out to make Arra’s life miserable… or something else entirely. Please join me in welcoming Bas. He’s ready to tell us more about his role in Soul Stone and why Arrabella, the girl with the dreams, apparently can’t stand him. Bas: How did I know questions about Arra were coming? Silly me to think you wanted to hear about the curse. By all means, tell us about the curse first. We’ll save the details about you and Arra for the end. Bas: (shakes his head) Okay, fine with me. I missed the whole Aztec curse, as I was overseas visiting relatives during the summer. I really didn’t know what was going on with Arra even after I got back until she asked me for a favor. Even then, I wasn’t really sure what was going on, but I knew it was only the first step in a long, weird journey. One that’s probably not ending any time soon. If you knew that, why did you decide to help Arra? Bas: Why wouldn’t I help her? Well… because you two don’t get along. Bas: I get along with Arra just fine. She just doesn’t get along with me. So, Arra’s the problem? Not you? Bas: Those were all accidents. Every single one of them. And you wonder why Arra doesn’t believe you. Anyway, tell us about Sibeal Ahearn, the girl who has suddenly become the center of some very strange dreams. Bas: Sibeal, yes, there’s definitely something weird going on with her. Aside from her creepy reflection. Really, she’s a nice girl. She’s pretty and smart, sweet. Under normal circumstances, the guys probably would have been all over her. Bas: I’m just not interested in her like that. I mean, I want to help Arra figure out what’s going on and make sure she doesn’t die, but not for any romantic reasons. Who would you like to save… for romantic reasons? Bas: Are you trying to get me to admit something about Arra? It’s not going to happen. I don’t know why, but I seem to bring out the worst in her. We’re barely managing friends as it is. I just got sucked up in all of this because she’s Tanner’s girlfriend. I’m trying to help save Sibeal. It isn’t any more complicated than that. Hmm, if you say so. What if Arra has more strange dreams? Will you help her with whatever they bring as well, or are you done after this one? Bas: Well, just because we aren’t that great of friends doesn’t mean I want to see her die. If she needs my help again, she knows I’ll be there. I’m sure she’ll be glad to hear that. Tanner, maybe not so much. Bas: What’s that supposed to mean? It looks like we’re about out of time, Bas, so sorry. I guess it will just have to remain an enigma, just like why the whole town of Grainer thinks you can do no wrong. So many mysteries, and only enough room for one more question. What will the dreams bring next? Bas: I suppose it would be too much to ask for it to be something good. I’m not really sure, but Arra said something about Oracle Lost the other day. You’ll have to ask her for more details, I was only half paying attention because I was trying to get all of her pencils out of her backpack without her noticing at the time. Bas, Bas, Bas. I do hope you know what you’re doing. Until we see you again, good luck with the curses, and with Arra. 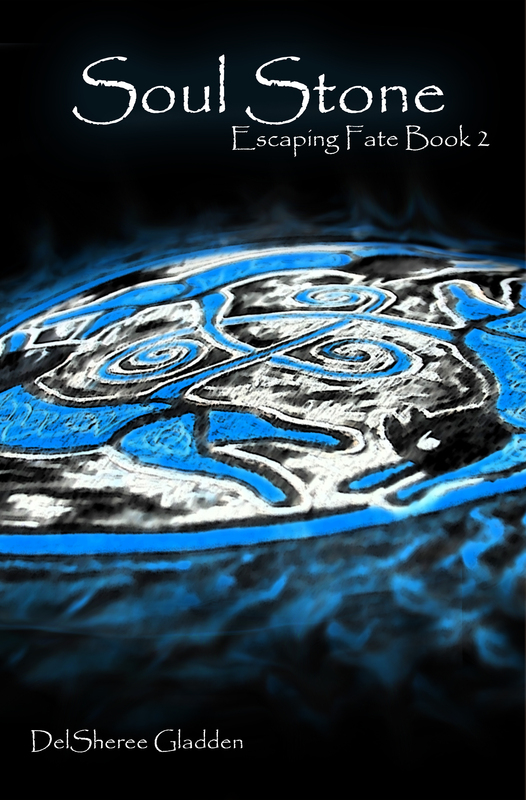 Grab a copy of Book 1, ESCAPING FATE, for FREE on most ebook platforms, and then get ready to meet Sebastian Wallace in book 2, SOUL STONE.